Hi, I am using an Ozone bar with a few different kites. The line lengths have been checked and are equal when the bar is just next to the chicken loop and the trim set for maximum power. Sometimes when I am going along I have the bar right out, sheeted out completely with more than enough power, and in order to hold on to it I am reaching as far as my arms will go. The trim is set for minimum power too and my arms aren't particularly short either. How can I move the bar closer when its in this situation? I figure that adding pigtails to the steering lines would bring the bar closer, but is this going to cause me other problems? If I did this, would I do it to the lines, or to the kite? I would assume that I am using too big a kite in too strong wind, but at these times I can vary between not enough power and too much, so I still want to make sure it has the range I need. While I am asking these sort of questions, do any bar setups have better trim range than any others or are they all about the same? Back in november 2018 when I was still a beginner, good old times When my smallest kite was fully depowered and I felt like I can't handle it, I went to the beach even if it was frustrating. Don't overdo it if you are not feeling up to it. Holding proper edge in strong wind is something that needs a bit of time to develop, especially when it is gusty. What type of harness are u using? I am using a seat harness, although I do have a pair of Dakine boardshorts that I haven't tried yet for kiting. I used them windsurfing, and they do keep the hook a bit lower. The seat harness hook seems the same height, but I know that it definitely pulls up higher than the boardshorts. I will try and give them a go. Thanks. I don't quite understand the keeping an edge thing. When I want to go upwind I have no problem, and when I want to maintain my course and keep upwind, I have no problem. I will try and note when I have this problem, but from memory its usually when I am flying along, pretty fast, and parallel to the beach. I think in this direction its a little downwind in one direction and a fraction upwind in the other. I know if I do wash off some speed and edge harder that I slow down, but I am going more upwind. I think at that point the kite moves into a different position and the bar does come closer. Is that what you guys are referring to? If so, is there anyway to maintain the same direction while still getting the bar closer? It is very common with any new sport when you find you're having difficulty doing something so you decide you have to change your gear to fix the problem. Unless the gear is fundamentally crap then the problem lies with you. You're having trouble because you're a newbie. The solution is to ride more, think less. 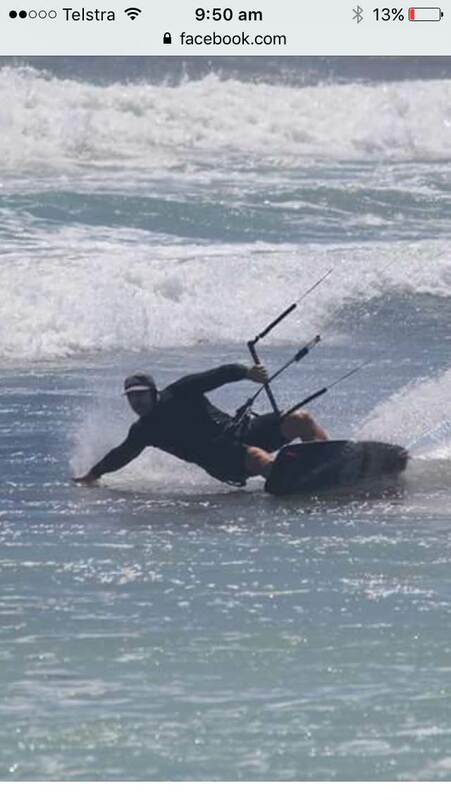 An experienced kiter can handle everything that happens on the water. Inexperienced kiters just see problems. I heard the same sort of response from people when I started windsurfing ages ago. I am a technical minded person, and despite people saying its always the way, I preferred to think things out and see what works and what doesn't. For instance, someone was telling me that the footstraps on a particular board were fine... except when you consider the board was built for someone much taller than me. I would get all sorts of advice from people, some was good, and some wasn't. I always respect an opinion much higher when someone can substantiate it or explain why. When they just say that it is because it is, that's when I prefer to seek the opinion of someone who can explain why it is. It helps me understand what I am doing wrong and hopefully to correct it. I would consider myself an experienced windsurfer. If someone has a particular problem I can probably understand it and explain why. 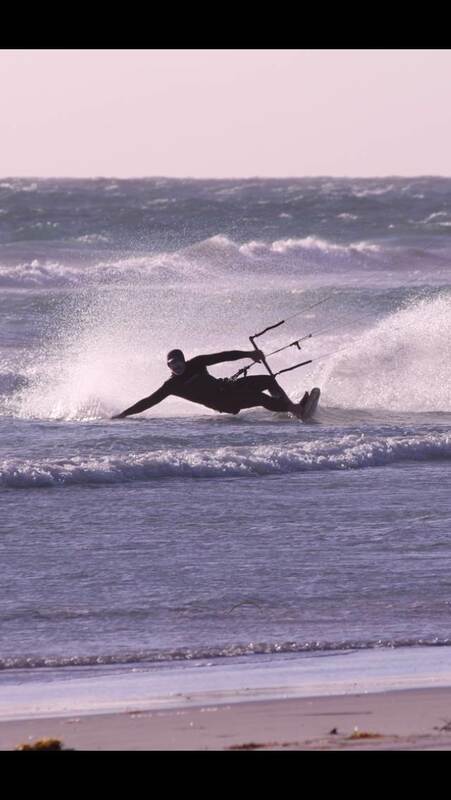 Maybe that's the difference between windsurfers and kiters? Generally if the bar is too far out you need to trim the kite, when you're overpowered the kite will pull your harness away from you causing you to sheet in more. If you are still pulling in the bar when your arms are fully extended pull on the depower until you're not pulling the bar in anymore. If you can't do this you either need to swap down a kite size or the throw is too long for you, which would be unusual. As a windsurfer you would have experienced the problems of getting your foot into the back straps or spinning out. You may have been tempted to put new inserts in to move the strap forward. You could talk about more down pressure on the back foot and a more equal stance but the reality is you simply hadn't developed the feel to be able to do it. 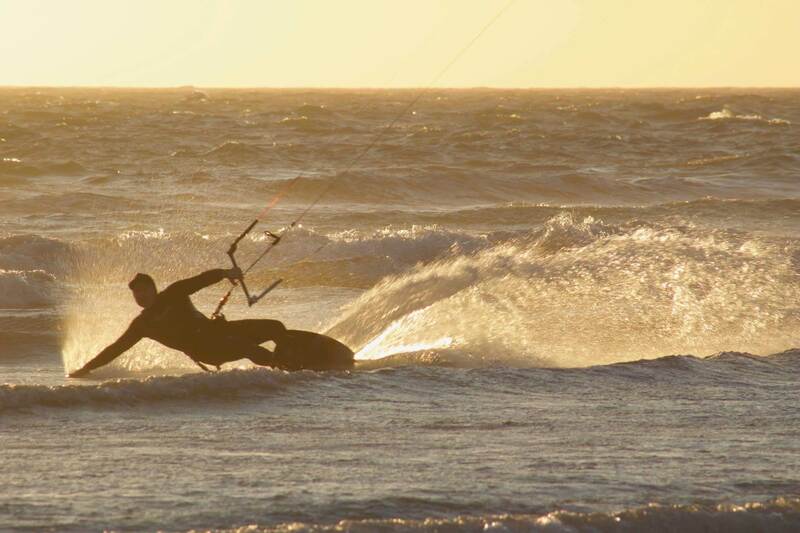 Kiting and windsurfing are both skill sports and the only way to acquire skill is through repetition and experience. When I first started windsurfing, the whole use of the footstraps was foreign to me, so there was no assumption about whether they were right or not, just that I had to get into them. Fast forward a couple of years and I bought the board I was talking about and it was a dog. I left it alone for a while and then went back to it in the non windy season and compared all the factors of the boards that I enjoyed sailing versus this one, and it turned out the footstrap spacing was made for someone much taller. So I changed it and the board instantly became much nicer to use. People also said that I didn't need such a big fin on it, but through experience I found that it did. Not a 34cm or so that you might need on a freeride board, but a 45 or 50 more suited to a slalom board... which it really was. Its funny what people assume. This thing can easily take 8m+ sails, when most people don't see much of a return after 7m. Today I went out with a different bar to the Ozone one. This other bar has almost twice the throw/range of the Ozone one, but in reality you are not going to use anything less than what the Ozone can do and you can't use more AoA as its set for max power at full extension anyway. There was no difference, as today I had an 11m with the trim set for maximum power and it didn't get any stronger. There was not quite enough power sometimes but not too much either. The bar was always within the right range, although I would have preferred a touch more power. i think what it is suggesting to me so far is that the 14m I was flying before was maxed out and the need to let the bar out further is to try and sheet it out more. One other thing that seemed pretty obvious to me today is that I am still needing to use both hands on the bar, and that no doubt affects the reach for the bar. The outside arm is stretching a long way with my body hiked out, whereas the inside arm has plenty of reach as its bent at the elbow anyway. if I were able to kite with just the one hand on the bar, it would not be a problem. If I can say one more thing, despite some people saying that there is not much overlap with windsurfing and kiting, I would say that's not true. The wind behaves the same and the way you respond to it is similar. You may not have a boom, but you still sheet in and sheet out when required. Sailing into the wind is the same and uses the same principles. Thanks. I think this might be what is happening. It didn't happen today as there was just enough power for the kite that I was using. The bigger kite where it was happening was probably at the limit of its wind range, I had it trimmed to give minimum power already, so there was no more room left that would have allowed the bar to come closer.... which matches your suggestion that I should swap down a size. I think from years of windsurfing I have become lazy/comfortable with being overpowered. In this case I have gone out with a kite that was fine for the seabreeze when it started at lunchtime, but by 5pm it was a bit stronger, but who wants to come in to change kites? Cheers. I'd rather fly a smaller kite close to fully powered than a bigger kite fully depowered. Depending on where you are it should be a fast switch, since you don't have to walk your lines again. Riding with one hand on the bar is awesome, especially when having lots of power. What helped me the most was to put my hand on the bar, so that the lines are between my index and middle finger. 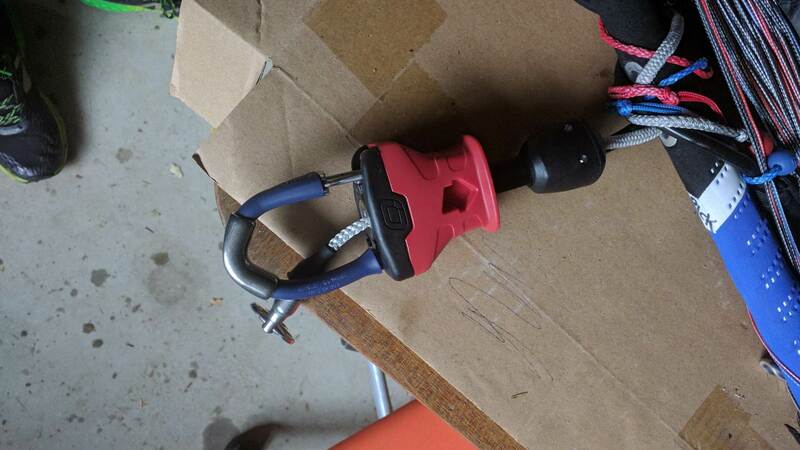 If you don't really know where the kite is, one cause might also be the bar pressure setting. Try one that gives you more bar feedback and bar pressure, helped me! It sounds like you're kiting in the river. Kite the ocean where the wind is smoother. The others are talking about holding an edge because that's how you can control the power in the kite. The difference between max power and min power is the length of the depower throw. It varies from kite to kite. in my opinion the shorter the depower throw the better. Some kites have bridel adjustments to decrease or increase this length. If I couldn't adjust it to my liking, I would buy a new kite with a short depower throw. I've got short arms and use Ozone bars. I have no trouble with the throw. If you are finding that you need the bar right out you need to do one of three things (or a combination of each). Either pull in the trim rope a bit so that the bar doesn't need to sit so far out for you to ride comfortably, learn to ride one handed or down size the kite for the conditions. Also, as others have said. The shorts with a built in harness will get the hook a lot lower and make the reach less. Windsurfing and kitesurfing are the same in essence, but vastly different in practice. You can sheet in and out on the kite same as a sail, but there is vastly more. Kites are vastly more dynamic than sails. You have the whole wind window to play with. You can edge hard and send the kite to the edge of the window. You can fly the kite faster and/or ride faster and generate more apparent wind. You can ride more upwind with the kite at the edge, or deeper in the window. When overpowered you can come off the edge and ride downwind. That reduces the apparent wind and allows you to edge harder then bring the kite back down to the edge of the window. Sheet out to depower, but if your kite is small sheet out to build air speed but come of the edge. Power will increase then edge more and sheet in to harvest the power. It's dynamic so keep doing this as it feels right. Don't forget to carve off waves to get a bit more ground and a momentary boost of power. Complete the carve and straighten out a little to maintain board and kite speed. You can also modulate power with board position. Nose up is slow. Nose down is faster. Engaged rails are essential for carving (same as a sailboard). The other important thing is stance. Straight front leg. Slightly bent back leg. Use the back leg to adjust pressure and edge control. Ride off your front leg, control with the back. Back straight, Hips forward. Arms straight. Steer more with your shoulders. I think of a kite as two windsurfer sails joined at the tip of the mast. The leading edge is the mast of both. The bar is connects the clew of each. The lines allow it to work in a 3rd dimension 100% of the time. sining a kite is almost exactly the same as the figure 8 pattern used to pump a windsurfer sail. reverse launch = clew first water start. downloop transition = duck gybe. In saying that I see skateboarding, snowboarding, surfing and wake boarding as the same with different amounts of friction(drag) between the board and surface it is on. The way you drive, track or pop is the same. Flying a kite fully depowered at almost 12 o'clock lofting downwind in 1 to 10m hops is like sailing a windsurfer in the footstraps holding onto the mast with both hands heading straight downwind. Cracking up thinking of the time my windsurfer blew away. Lucky to have survived but funny as in hindsight. I know. I have had 60 to 70 hours minimum on the water kiting since Christmas. Each day makes it easier and easier, and getting so much kiting time in one season is great. It makes the learning experience so much easier when you get to build on what you have learnt the previous day. I have to say, some days are easier than others. Like today, only 1 hour on the water, versus 5 yesterday. Who can handle it! I agree, I like to use a kite with none to half trim or depower. When I get to 3/4 trim I'll start to watch the conditions closely and look for opportunity to head in and change down a kite size. I think from years of windsurfing I have become lazy/comfortable with being overpowered. In this case I have gone out with a kite that was fine for the seabreeze when it started at lunchtime, but by 5pm it was a bit stronger, but who wants to come in to change kites? It's easy be complacent but worth considering the difference between kiting & windsurfing is you're attached to the kite, overpowered with no room to trim leaves you with less options if the conditions change and wind speed increases, you may be lofted or have to release and recover the kite. Also, as fatigue sets in on a long session, your reaction speed slows, basics are forgotten, small errors occur and it can be difficult to safely land an overpowered kite with no more trim or depower to spare. I think of it like diving, always try to get back to the boat with 50bar... always get back to shore with some depower to trim the kite and safely land it. Yes, you can increase the length of the steering lines (or decrease the length of the power lines). This is precisely what the trim strap is doing. There is an upper limit though, which is when the steering lines are long enough that the kite has zero angle of attack (can elaborate further if needed, but if you know AoA then this should make sense). Generally a bar will be set up to cover this point in its maximum throw range, but if you are playing around with different kite models and shapes then extensions may help. Note that most bars have steering line adjustments under the floats to do the same thing, and some even have different attachment points on the main lines to shorten them for big days. The bars themselves are varied in terms of maximum throw range and maximum trim range, but the mechanics of the bar adjusting the angle of attack of the kite (and therefor the power it delivers) is more or less identical across bars. Ideally the bar is just within reach at maximum throw to give you the most amount of power control without relying on the trim trap, however because of different arm lengths, hook positions and riding styles, no one bar will work for everyone. Kites, on the other hand, require different amounts of throw to go from maximum power to no power (Max AoA to 0 AoA). My F-one bandit has a very short throw of about 20 centimetres, whereas a Naish pivot feels more like 50 centimetres. Some people prefer short to quickly dump the power and some prefer long so you have more fine-grained control of the kite. Yep, that sounds right. The short answer is to ride more upwind, place the kite higher, or get used to holding the power and go fast. Thanks. Its good to hear technical info just so that I understand what happens and why. I'm not sure if I mentioned it before, but when I went out on the other bar, which is a Peter Lynn bar, the adjustment range was a lot more. As mentioned, it doesn't allow you more power, as both bars are set to be equal length lines, but the depower adjustment was much more. I tried this while stationary in the water, but when overtrimmed I was surprised that the kite still flew and still had some power. As for getting used to holding the power and going fast, I don't mind that and don't feel out of control. Its just the worry about having the reflexes of getting out of that that I worry about. I know that sometimes I find that when heading for an obstacle I don't instinctively have the right response, so until then I err on the side of backing off well before I think I need to. As another general question, if you launched a kite with the trim strap to have the most power, is this generally a problem, or does the kite still launch perfectly fine? In other words, is this particularly dangerous? I tried this while stationary in the water, but when overtrimmed I was surprised that the kite still flew and still had some power. When standing stationary in the water and the kite stationary above, try sheeting in fully. Although the kite provides additional power, it also goes further forward into the wind window. After a couple of seconds the kite is further forward, but now providing only about the same amount of power as initially experienced even while holding the bar all the way in. You can repeat this by letting the bar right out. Although there's virtually no power while the kite drifts back, once it has found a stable spot above you the power is generally the same as at the start. What's happening is that pulling the bar in increases the angle of attack, which generates power, which is partially directed forward for the kite. As the kite goes forward, it rotates about the anchor point (you) which in turn reduces the angle of attack to the wind. Once the kite has rotated forward enough to reduce the angle of attack to the same it was before (relative to the wind) the power delivered can only maintain the kite in the air and no extra power is available to move it forward. Now assume that, instead of standing still, you are moving acrosswind at a constant speed and the kite is 'parked' in the same position in the sky relative to you and is providing a nice constant power. The forward momentum of the kite's power is trying to get it out to the edge of the wind window as in the previous example, but your personal forward speed speed is making it lag back. A 'parked' kite means your forward speed and the kite's forward speed is the same, therefore the kite's power that you are currently holding is enough to generate that much additional forward momentum. So the faster to go, the more power you HAVE to hold to maintain that speed. I will try and note when I have this problem, but from memory its usually when I am flying along, pretty fast, and parallel to the beach. I think in this direction its a little downwind in one direction and a fraction upwind in the other. I know if I do wash off some speed and edge harder that I slow down, but I am going more upwind. I think at that point the kite moves into a different position and the bar does come closer. ... and here's where the dynamic nature of the kite's power delivery becomes your enemy. If you believe that the the amount of power you are generating from the kite is too much, you want to naturally sheet out and dump the power, but if you stay at the same speed the kite will also lag back further in the window until it is delivering the same power as before, just with the bar further out. You have a couple of seconds to use the reduced power to change your speed down or change your direction to make sure the kite doesn't deliver that power again. If you want to go fast, depower the kite so that the anticipated additional power can be held with the bar in a comfortable position so you still have the opportunity to sheet out and reduce your speed if it's getting out of control (I personally like 1/4 throw so there's still a little more power available if there's a lull, but lots of depower to dump gusts and get back in control). If you don't want to go fast but ride acrosswind comfortably, either downsize the kite (reducing the overall power) or fly the kite higher (reducing the forward speed). It is generally best to launch and land with the trim strap set to full power. It's not a good idea to have the trimmer fully pulled while launching and landing. With the bar out and the trimmer pulled in you have reduced steering and pitch control. During a gust the kite can shoot a long way forward with the bar out and the trimmer pulled. The kite can luff and fall at the edge of the window, roll back into the window and power up. By not having the trimmer pulled in you have more pitch authority from the bar and can pull the kite back from the edge of the window and correct any potential luffing. You should practice in lighter winds to prevent luffing and to recover from a rollover. You should be able to prevent 95% of anything undesirable that happens on the beach. Of course, if you are being pulled to your doom then you probably want the bar all the way out and all the trimmer and maybe think about pulling the quick release. I agree with Gorgo, always launch with trim strap all the way out. This gives you the most direct control of kite and most effective steering. A lot of kiters fail to understand all avail 'trim' options of their kite ie. the point where kite flies best in every conditions..
Basically judge conditions light, medium or strong for yr kite size and weight, adjust rear lines before launch, light = tighter, strong=looser.. The only real way to know is to fly your kite in different conditons and lock in which settings suit best. If you are unsure get an experienced kiter to fly/explain.. It sounds like there is one suggestion to launch kites at max power and another to adjust it based on the expected wind intensity for that kite. I actually launched my kite recently with absolutely no power, and it flew into the wind window okay, but it was very slow. Good in a way as I had to use some skill in making it rise, but in retrospect for that light wind I should have rigged it with more power at least for the launch. On another note, the Ozone bar I have, used to use the older safety system and I upgraded it last year to the 2017(?) quick release. I find it heaps better as its far more obvious than the older quick release, so much so that I also changed the Peter Lynn bar to use the same quick release. I like the idea that you don't need to think about it as you just reach down and push instead of this smaller button that you need to pull. Who wants to be thinking about it when you are thinking 'oh 5hit' and don't have time to think further than that. The Peter Lynn bar looked awfully similar to the Ozone bar with the same safety system, so the Ozone upgrade was pretty logical. I like the idea that either bar has the same safety. This is probably not a problem for people that have the same brand kites, but in my case they are a mixture of whatever was the right size and cost effective at the time. Ozone has 3 chicken loop sizes - if U don't have it - could try the smaller one.